Heat the oil in a large dutch oven. If you have a thermometer, the temperature will need to be at 320 degrees F. If you don’t have a thermometer (like me), that’s fine, and it’s easy to wing it. When you splash a few drops of water in the oil and it sizzles, it’s ready. Fill one small bowl with flour. 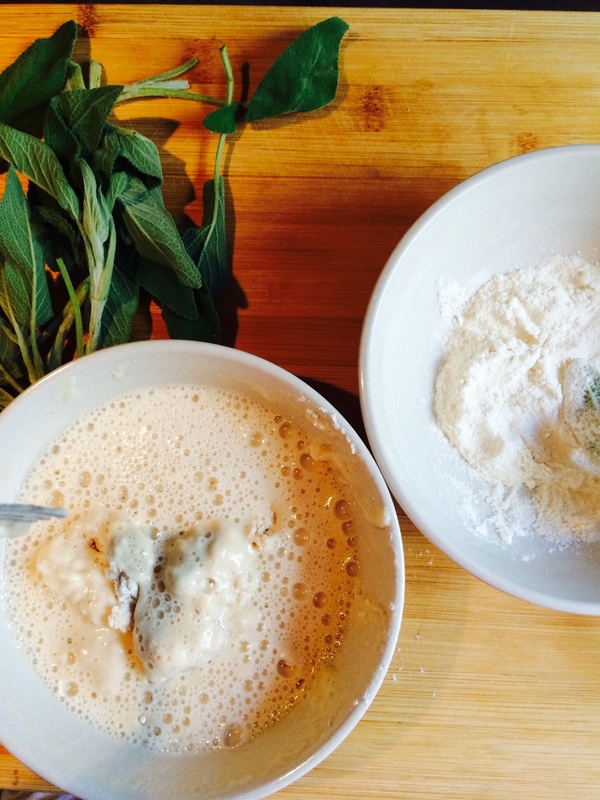 Fill another small bowl with 1 part flour and 1 part beer. With a fork, gently mix the flour into the beer but do not overmix. Some clumps are good because that’s what gives you the air pockets in the batter for an extra light and crispy coating. The next part is just an assembly line. Have a paper towel-lined plate ready near the oil. 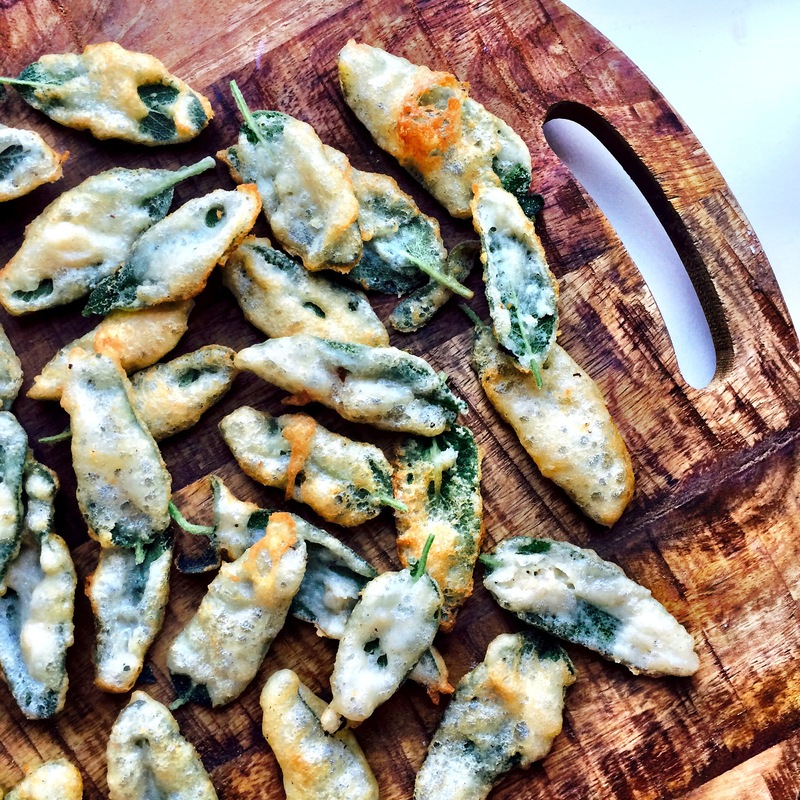 Coat a sage leaf in the dry flour, then the beer/flour batter. Shake off any excess and dip into the oil. Repeat. Watch each one carefully – they will need less than 1 minute and are ready as soon as the coating is hard. You do not want to brown them, and if they are browning too quickly, reduce your oil temperature. Serve immediately with a pinch of sea salt. If you need to fry these ahead of time, store in a dry place up to 1 day, then reheat in a 300 degree oven until they are crispy again.